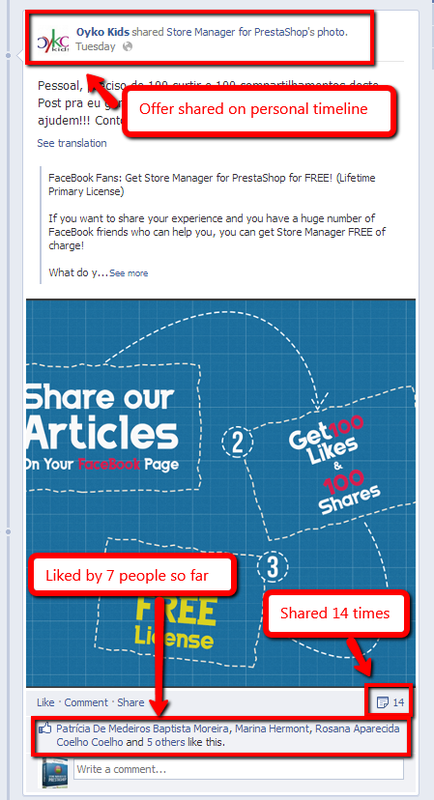 Please note, starting from March 21, 2014 we have stopped this promo due to the problems with shares counting on FaceBook. If you are interested, you can take part in other promo and get 50% discount on Store Manager application. If you want to share your experience and you have a huge number of FaceBook friends who can help you, you can get Store Manager for Magento FREE of charge! Like our official FaceBook page, share this offer with your thoughts (comments) at your FB page, get 100 likes and 100 shares with comments and enjoy up to 100% one-time discount on Store Manager for PrestaShop! 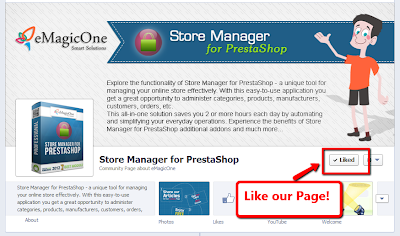 What do you need to save up to $349 and get Store Manager for PrestaShop FREE of Charge? Click “Like” at our official page! 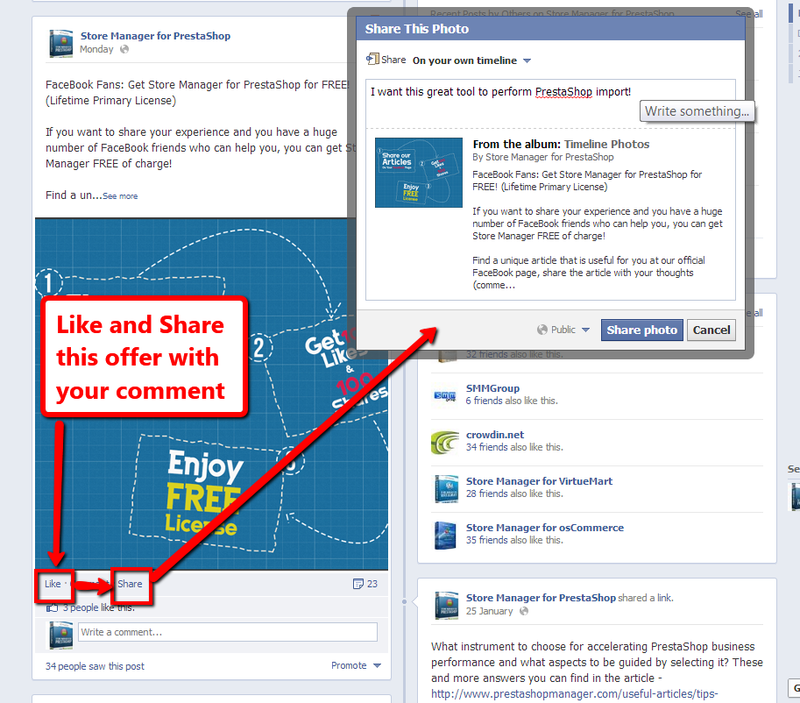 Be among the lucky users who get 100 shares and leave us a message via FB to enjoy your 100% discount! 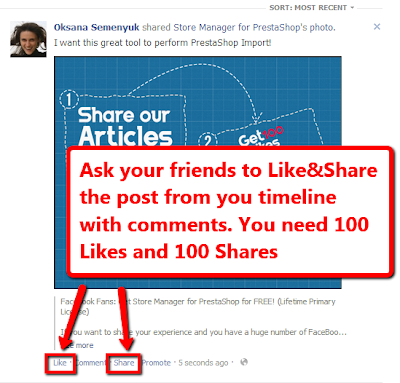 You have to include the URL to your FB page (timeline) where the article is shared 100 times and get 100 likes and indicate your e-mail and first&last name. You can drop a copy of your note at contact@prestashopmanager.com to get confirmation faster. 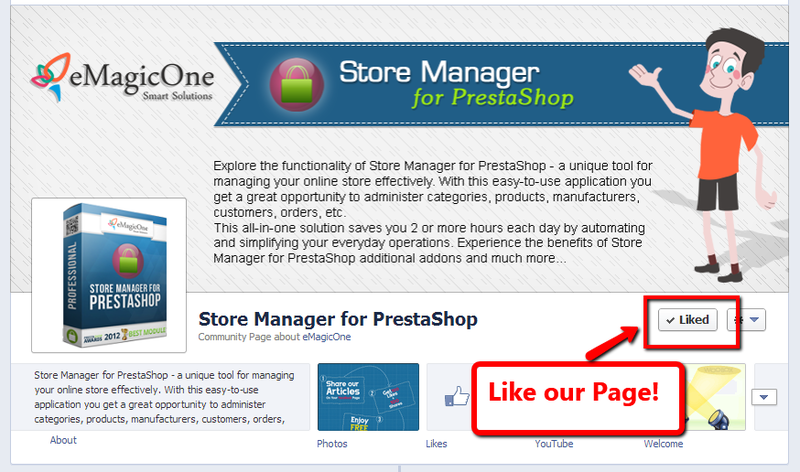 Don’t miss the chance to get Free PrestaShop Store Manager! eMagicOne aims at helping active PrestaShop users to save up to 100% for what they talk about and what they like the most! Attention! 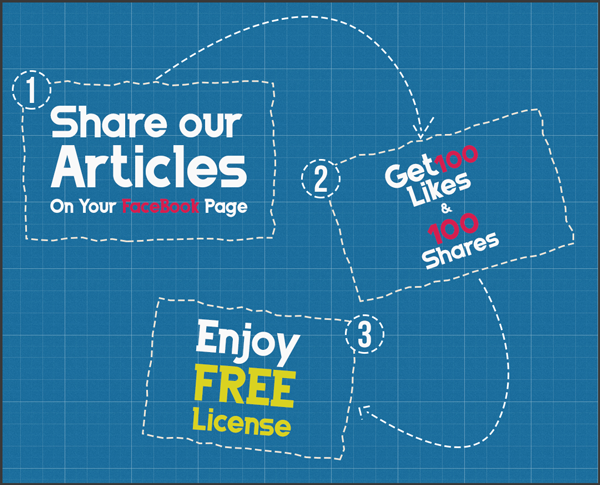 Sharing our post or article to your timeline, you should include the comment on how the software can be useful for your business. You SHOULD NOT write "Please, like and share my post" (publicly ask for likes&shares) or leave the post without the comment at all. For violation of this or other rules of this promotion campaign we have the right to refuse issuing free license to the participant, who haven't followed all the rules.